Bioaxxis, makers of the BD1 deadbolt have recently released this sensational product. A USB thumbdrive with biometric fingerscan technology. This is the most secure thumbdrive available today. They are available in 64MB, 128MB, 256MB, 512MB, 1GB, 2GB and 4GB. Tennessee locksmiths will all be required to get a license to work in the state effective July 1. The law was passed in the 2007 legislative session, but the Tennessee General Assembly postponed the effective date for a year. The licenses will come from the Division of Regulatory Boards. The application process for the program began last week. All applicants are required to be fingerprinted and must either pass an examination or have documented proof of five years' experience. Also, locksmiths will have to complete new basic and continuing education requirements. Last October we reported the introduction of the bill to state legislature. Came across this well produced video recently and thought it appropriate to upload it here. Baldwin products are excellent quality and priced in the upper range but for obvious reasons. All Baldwin products are guaranteed against faulty parts for 10 years. There are very few manufacturers that stand so feverishly behind their products. Baldwin is sold in multiple countries and is considered in some areas as an industry standard that others attempt to compare themselves to. 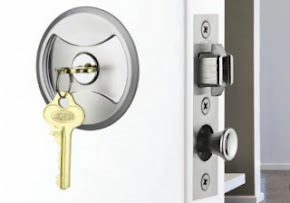 A professional locksmith can advise the most suitable product for installation and usually complete the installation better than some door companies or hardware store service departments. If you decide to purchase a good quality product, wouldnt you also want that product installed by a competent and professional expert? 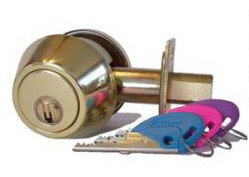 Locksmiths are the experts you need to call in to cater to your desires. Many people may not actually realize exactly how easy some locks are to get into. Perhaps the most common combination of locks found on the majority of front doors across America, is identical to the setup shown in the following video. This video shows that these types of locks are very simple and extremely quick to get in through. Dont get me wrong, please! Not all front doors are this easy, but I am finding many dwellings across the midwest with similar arrangements. The result of the above video is avoidable, if one were prepared to invest a little more in the security of their homes and belongings. With the economic climate becoming more and more gloomy daily, unemployment increasing, prices for staple good and services increasing, the quantity of burglaries also increases due to there being more desperate people out there. Inquire today, how we can help to protect your property, your belongings and your loved ones from the increasing crime rates due to the current economic downturn. Call Us on (314)266-1533 today. Your Life Could depend Upon It! Schlage Deadbolt - is this like on your door? The quantity of interest in Locksport has definitely taken a major shift increase in recent times and equally the number of people purchasing lockpicks has also increased. In the USA, there are only 9 states with any laws or licensing requirements for locksmiths. Consequently, many undesirables are now in possession of lockpick tools. Should you be worried? Perhaps! Statistically, break ins reported with no sign of forced entry remain low, however there are increasing numbers because people who get broken into without any sign of forced entry, rarely report it. Schlage, owned by Ingersoll Rand, have been manufacturing security products for a great many years in the United States. Schlage and Kwikset products are among the most common products found on most dwellings and businesses across the country. The following video shows a young person gaining entry to a common Schlage deadbolt, one similar to the ones found on many residential doors across the country. 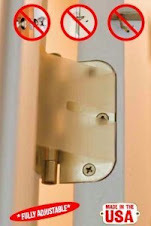 Would you enjoy the benefit of a door lock that cant be picked? Especially if it were to cost only fractionally more than a Schlage deadbolt? Do you feel secure after seeing this video? Master Key Systems America, a family owned company, proudly securing residents and businesses in the greater St Louis Missouri region, offer Bilock Extreme Security deadbolts that are guaranteed pick and bump proof. Add to that, no unauthorised key duplication and your choice of up to 9000 color combination (of keys) and you have the single best defense against lock picking available today. For a no obligation Free Estimate Call Us on (314)266-1533. With this portable safe, you protect your property with the ultra-security of a fingerprint-scanning lock. Only authorized users with registered fingerprints can gain access to your stored valuables — personal documents, medicines, firearms, rare collectables, fine jewelry.anything that fits in the all-metal case. Flash memory retains all information, even when batteries die or are removed. Accommodates up to 50 users. Official NRA-endorsed biometric gun-safety device. Cast aluminum and steel case measures 17.75" x 12.5" x 6" and weighs 25 lbs. Plugs in with included AC adapter or can be powered by 3 D batteries (order separately). One-year warranty. Big Box Store or Product Specialist? Many customers prefer to purchase their products today from the big box stores, primarily due to their more competitive prices. The following video explains why you are better served by a professional security company with respect to your personal and business security requirements. Whereas, the video is about safes specifically, the same applies to your doors, locks and keys. The choice is yours. Big box or Security Specialist? REMEMBER: You only get what you pay for! 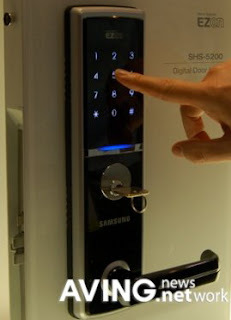 This sensational product is a major improvement in biometric locking systems and surprisingly reasonably priced. It is also aesthetically pleasing. Perhaps the bigger benefit is the ability to use a conventional rim cylinder as the key overide mechanism. This is particularly useful for locksmiths and access control companies because this negates the need for special additional purchase cylinders. Locks210.com recently added this product line to our inventory. As the Mid-Wests premier Bilock dealer, Master Key Systems America can easily incorporate your new fingerprint deadbolt into a 100% secure and virtually impossible to duplicate, pick or bump key system. Here is a novel but crude way of setting up a simple DIY CCTV system at home using Skype. You will of course require a webcam. Note: This system will not record your video feed. This system requires a separate computer logged into account 2 to operate. 1) Open two new accounts. 4) Log in as account 2 from another PC. 5) Call account 1, this will now answer and start video running, any one else calling this account, will not get activated or see your private web cam. To refresh your memories, Mebeam is an initiative started by a super-talented Australian programmer, to provide multi-video conferencing facilities over the internet, Free, without an application download. Using Flash technology, it has seen a meteoric rise in use recently to in excess of X million users. I recently used Mebeam to create a multi-video and audio hook-up, enabling family members, who were unable to attend, to participate in a family gathering. The session lasted, uninterrupted and of incredible clarity for in excess of 2 hours. Other longer sessions have been held too. Corbeam will be the culmination of 5 long years of intensive coding and testing. CorBeam is set to take the corporate world by storm. It provides all the sophistication of a top level video conferencing set up with NO infrastructure investment whatsoever. CorBeam is a fully hosted, totally secure video conference and video recording system that provides cost effective communication worldwide or within the organization for greatly improved business efficiency. Improved communication has long been near the top of the wish list for senior executives around the world. Integrating CorBeam into your corporate communications strategy will provide many advantages to your organisation. Worldwide video conferencing facility, that allows up to 32 individuals to log in to a room and chat. The only requirement is a webcam and the room password. Users can record video of themselves for use as CVs, broadcast training and other information or for anything your imagination can dream up. The video can be cleaned up and edited using the online editing tool kit allowing cut, paste, crop and other functions. Recorded videos can then be archived for retrieval at a later date. One of the key benefits of CorBeam is the ability to record an entire session. Using this feature, all participants in the video conference are recorded into a single multi-stream recording. This session can be saved, archived and or delivered via email. It can even be split up for selective distribution. CorBeam Conferences take place in secure, private chat rooms set up especially for the occasion and deleted up completion of the conference. Participants are invited to attend the conference via email and SMS invite. CorBeam contains its own address book facility. It also integrates with Outlook as well as IM communities such as MEEBO and JABBA. The billing mechanism is very straight forward. Register as a customer, complete a simple credit card transaction and create your secure room. This very simple system is ideal for individuals, SMBs and roaming employees who wish to keep in contact. Larger organisations or anyone wanting ongoing facilities can simply create an account with CorBeam attached to a credit card. You simply allocate passwords to the individuals who need access to the account. Comprehensive traffic and usage reporting allows you to keep tabs on your costs and hierarchical access allows different users access to more or less facilities within your CorBeam admin area. CorBeam will be launching soon! Check back in the near future for further details. Is it irresponsible to post the following video clip? I believe not. I believe it is irresponsible to not make the marketplace aware of the vulnerabilities of America's leading Security key manufacturing company. The following video is independantly produced and subtitled in Spanish. These cylinders are commonly found on Banks, Police Departments, Government buildings, Hospitals, Schools etc all across the country. Do you use them? Would you want to still use them after seeing this information (which is freely available on the world wide web? 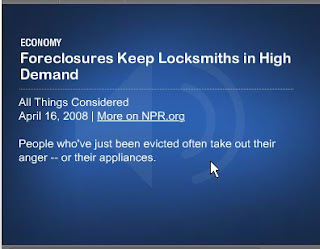 All Things Considered, April 16, 2008 · The mortgage crisis has been great business for locksmiths. Banks need to get the locks changed quickly because people who've just been evicted often take out their anger — or their appliances. Click on the picture to listen to the article. It is an unfortunate side effect of the mortgage crisis, but banks and other lenders are forced into these actions as a consequence. Master Key Systems America, a family owned business, serving residents and businesses in the greater St Louis region with unrivalled services and products. Our specially equipped service vehicles are staffed by competent and qualified technicians, who can quickly and economically perform your required tasks, happily and efficiently. For an obligation free estimate, call us on (314)266-1533. Last week, I received a job through the Service Magic contracting service to contact a customer to repair his door frame. I recommended him to visit this website and view the Strikemaster II product. He called me back the very next day to order an installation. This customer suffered a break in where the exact purpose of the strikemaster was designed for. The door, being of solid construction and very good quality, the lock being of reasonable security and aesthetics, did their job properly, but the Jamb (where the door closes into) was made form light grade pine that was 1" x 2" in size. It broke with a small kick from a burglar and almost completely shattered the door frame. The customer had inquired as to how much to get the whole frame replaced, elsewhere, before contacting Service Magic. My solution was the most economical and most aesthetically pleasing, negating the need to replace all the carpentry. The client saved 100's of dollars on the job as a result. In many customers homes, their actual front doors (or back doors) may be constructed using metal casings (on the door itself), but the actual jamb (where the door closes into) is usually made from wood. Whilst the door may be reasonably strong enough to withstand an attempted forced entry, the jamb is usually not. Enter Strikemaster II. Locks210.com is pleased to make this product now available to residents and businesses in St Louis. StrikeMaster II offers a unique and innovative solution to prevent burglars from entering your home, StrikeMaster II strikes-back instantly. 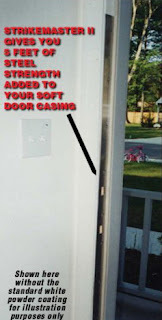 Its patented strike plates make the door casing virtually unbreakable. How much does a StrikeMaster II cost? $109.95 plus shipping/handling and installation. A former police officer was recently quoted. "I am a retired Chief of Police with more than 30 years in law enforcement and security and have investigated 1000's of residential burglaries and domestic assaults that were due to the crashing or kicking in of the doors at the home. .... I am proud to announce that I have seen an amazing new product called the StrikeMaster II. This is inexpensive and stronger than any would-be homicidal maniac, I promise... the security market has finally produced a product that is better than locks and alarms. I highly recommend this product on all your outside doors at your home." 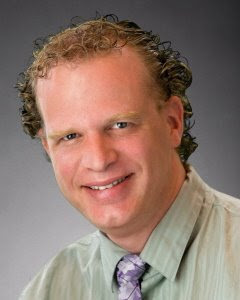 - Donald Purnell CLL, CFE, Director of Security, Sentry Watch, Inc.
"On the 16th of May, 2005, our home in Chicago was broken into by thieves who shouldered/kicked their way in, through 3 separate doors, one entry and two apartments. A considerable amount of valuables and memorabilia were stolen, including identity theft. Upon observing the 'ease' of entry by these thieves, we set about investigating door protection measures on the internet. After observing a very graphic video on the 'Safe Home International' site, we ordered the StrikeMaster II for overnight delivery, with the caveat that we would do a 'real-life' test after installation. My installer naturally had his doubts, as I asked him to kick and shoulder the door, after the product was installed. He asked me who would pay for the door frame repair 'in case it didn't work as advertised,'I said I would be responsible, since the safety of our family and property was of utmost concern. I weigh in at 240 lbs and I 'shouldered/kicked' the door three times, without it's failing. My installer, who closely approximates the LARGE individual in the graphic video, had at the door next. He shouldered it twice and kicked it last, his size 11 shoe imprint is still on the back door, although the wall seemed to 'bow in,' the door did not budge. My installer came away convinced, and I came away satisfied, that I made my Family and my Home that much more secure. The cost/benefit ratio as well is definitely in favor of the StrikeMaster II in comparison with other devices currently on the market. To say that we are more than pleased with the results we obtained from the product, as well as it's support, would be an accurate assessment. -APA Chicago"
Article in US News about Locksmithing as a career. Key to job satisfaction is how often you help someone in distress. Locksmithing scores near the top. One of life's most vulnerable feelings is returning home to find your home broken into; a locksmith can make you safer. One of life's more frustrating experiences is being locked out of your car; a locksmith lets you in. And today's locksmiths go well beyond locks and keys. Your car door may no longer have an entry key but a transponder. In your home or business, security techs install electronic and biometric (thumbprint or iris) entry and fire alarm systems, complete with closed-circuit TV networked to a central monitoring facility. And despite the field's growing complexity, training is quick. You do, however, need a knack for working with gadgets and electronics. Basic carpentry, electrical, and welding skills help, too. Perhaps most important, you must be able to resist temptation—after all, you do know how to pick locks. If you have those attributes, locksmithing is a worthy career choice. Along with police officers and FBI agents, yours is the noble goal of foiling the baddie—but with much less risk to life and limb. Most locksmiths learn on the job, supervised by a master locksmith. That's supplemented by short online or in-person courses offered by locksmith associations or manufacturers. Tracking people's every move using buildings packed with motion sensors is more effective than CCTV, and less invasive to privacy, say researchers who tried the technique on their own colleagues. "We want to have a god's eye view of the entire space," says Yuri Ivanov of the Mitsubishi Electric Research Laboratories (MERL), who led the project with colleague Christopher Wren. That may sound like the desire of George Orwell's fictional "Big Brother" in 1984. But the MERL system should actually preserve people's privacy better than CCTV and make buildings safer and more secure, says Ivanov. As digital video cameras get cheaper and smaller, CCTV systems are becoming more common. But as well as raising privacy concerns, Ivanov and Wren say, the footage is difficult to search through or interpret quickly. As an alternative, the two researchers used arrays of small, cheap motion detectors to watch over people instead, with their officemates as guinea pigs. They fitted their 3000 square metre office building with an array of 215 simple detectors placed along the hallways at 2-metre intervals. The detectors collect much less information than the cameras. "It's not going to catch you picking your nose. You can only tell that some person went by," Wren explains, "maybe this is better than living under thousands of cameras." But the motion-detector system still collects a lot of information. To find unusual or interesting patterns in the data, the researchers developed software to display movements of people around the building on a map in real time. People show up as a bright spot trailing a tail of lights that slowly fade away (see video, right). Another view summarises data from sensors across a period of time, for example a week, month or year, in a way that makes it possible to see patterns or anomalies at a glance. The system also includes a handful of cameras, at selected spots in the building. Footage of passers by can be used to identify people, who can then be tracked around the building using the motion sensor data. Users can select a certain path on the map – for example from the office drinks machine to the front door – to call up motion and video data from the path at a particular time and reveal who used the route. "A target audience for this was security," says Ivanov, "but that's not the only use." Data collected during a fire evacuation drill revealed that almost everyone in the building left through one exit; the two other doors nearby went largely unused. Understanding how people use spaces like this could help improve safety, they argue. Longer-term patterns, like how late people stay at work or where they tend to congregate, have other uses. "It has large implications for energy savings," Ivanov adds, saying that heating or air-conditioning use could be informed by the data. "I've not seen this approach before in journals or at conferences," says Marimuthu Palaniswami at the University of Melbourne in Australia. "But I have seen it in fiction, for example the Marauder's map in Harry Potter." The technique appears simple and usable, he says. "They have produced a system that could be implemented with little difficulty and would be very useful for security monitoring." Daniel Keim of the University of Konstanz in Germany agrees that usability is a big advantage. Most techniques for analysing data from sensor networks depend on automatically detecting certain behaviours specified ahead of time, making spotting unexpected features difficult, he says. Master Key Systems America LLC announces today of our acceptance into the membership of the Creve Coeur Olivette Chamber of Commerce. We look upon this opportunity to expand our involvement in the community and hope to meet and make new friends and business acquaintances. We have been invited to a chamber meeting and activity where we will be officially welcomed and given a plaque to commemorate this occasion. We will be invited to give a 60 second spiel about our operation and will also get to meet many of the existing members represented in the chamber. 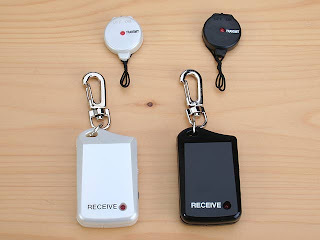 A not so new gadget that can be an effective child monitoring system so your child toddler doesnt stray too far from you but does not need to remain tethered. Put the tag on your child and if they move up to 15 feet away from you the siren beeps and vibrates, warning you to keep an eye out for them. At First, switch to N-ON and use the Wheel to tune up the detecting distance. When you lost the object, switch to S-ON to find the object. As the object is closed, the Receiver will become alert and vibrate frequently. 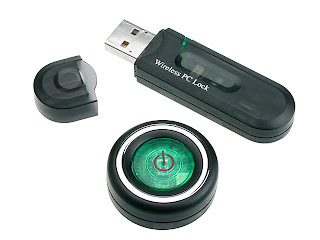 You can protect your private data in your computer by plugging in this USB Wireless Security Lock. It changes into Lock Mode when user is 2 meters away from computer. And computer will resume when user is within the effective range. Keep your bike, garage door, garden shed, side gate, tool box or locker, or anything you desire secure with this Heavy Duty Siren Alarm Padlock. This lock comes equipped with two settings, armed and unarmed, so you can be alerted by a 96 - 98 db alarm when the lock is tampered with. Basically, double the protection. The Heavy Duty Siren Alarm Padlock has a body made of extra strong cast steel as well as a high-grade steel shackle. The lock is extremely durable and 100% secure, leaving no doubt that this is the best lock for multiple applications. The Heavy Duty Alarm Siren Padlock couldn't be easier to operate. You can choose between armed and unarmed with a simple twist of the wrist. Once you decide how you want to use the lock (armed or unarmed), simply look at the shackle and place it properly in the Siren Alarm Padlock. The shackle has a notch on both ends. When you insert the shackle into the padlock, you'll hear a single beep; this means the lock is armed. If you want to use the lock without the alarm, simply turn the shackle around and there will not be a beep. This lock is very well designed. It has a solid steel shackle that latches into the metal padlock for maximum security. 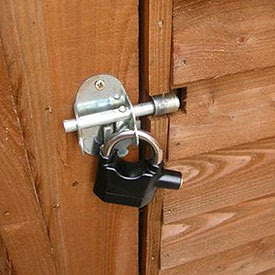 You'll be amazed with how durable this lock really is! This Heavy Duty Siren Alarm Padlock comes with a 96-98 decibel alarm that sounds in two tones. When tampered with, the alarm will sound for 10 seconds and then re-enter arm mode, so if the lock is tampered with again, the alarm will sound for another 10 seconds, and so on. It sounds just like a siren. Keep in mind that the lock can also be used without the alarm (siren) armed. The alarm is located at the bottom of the lock. Antique furniture locks come in all shapes sizes and styles. Often people lose their keys when the pieces are locked. As a locksmith, I have been called upon numerous times to open and make keys to these antique furniture pieces. Many antique furniture pieces including curio cabinets, use really old hardware made from brass and iron. Many of the locks are small and can be rusting. 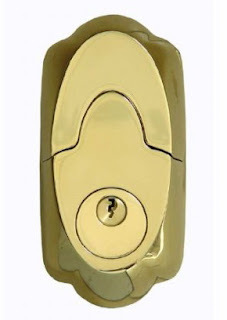 The most efficient and easiest method for opening a locked drawer or door, is to impression a new key to the lock. The impression system of key fitting is the one skill that is unique to locksmithing. Impressioning is used daily by few locksmith technicians these days and the art and talent is diminishing. Impressioning enables the use of a keyblank, some hand files and some practised techniques to produce working keys to locks without the need to dismantle the piece of furniture. Largely, there is also rarely any damage to the woodwork, which is a good thing, because this maintains the value of the piece. How does one impression an antique cupboard lock? Cut down flag to enter keyway. Insert key into keyway and turn as far as it will go. Turn and wiggle key numerous times. This method need to be continued until such a time that the key operates the lock smoothly. It is a talent that few tradesmen technicians still use today. It definitely requires practise, but it save the needs to dismantle a perfectly good lock. This is a prime reason why people, concerned about security or the protection of their assets, should consider products like the Strikemaster II. It is designed to strengthen the jamb against this type of attack. It would be grossly irresponsible to claim total protection from this attack, with the product, although it is one of very few products of it's type to offer some sort of defense. 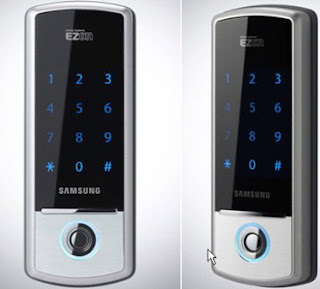 Samsung have recently released a new electronic digital door lock with a very slim user interface, which looks more like a cell phone at first sight, with a thickness of only 21.5 mm! The EZon Home Network System SHS-1110 has a touchscreen and is made of aluminum alloy and tempered glass. The SHS-1110 comes in two colors, black and silver, and it measures 2.70 inches (W) x 6.89 inches (H) x 0.84 inches (D). The price tag is about US$ 180. Technical specifications will be released soon, but it is supposed to work with virtually all existing mortise locks for commercial use in the United States.